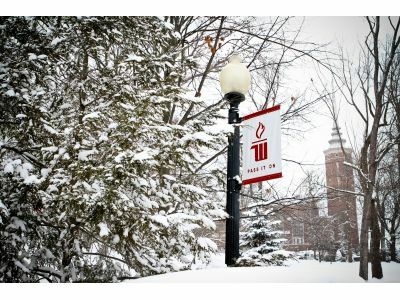 If your area suffers from particularly high wind speeds, the Airow fiberglass arm can be the perfect option for your banners and banner bracket hardware to guarantee safety. Made specifically to dissipate more wind energy and increase flexibility over standard rods by up to 50%, the Airow rod will make sure that your equipment, and anyone around it, stays safe. With an easy-to-adjust design without needing to move the main casting of the hardware, the Airow rod is the banner arm you need. With the wind force calculator that our site provides, you can learn the EPA, drag, wind force, and percent reduction that our hardware provides. Simply by providing the rod type, banner dimensions, and wind speed you expect to experience, we can give you these estimations to show you exactly what our banner bracket hardware can do for you. 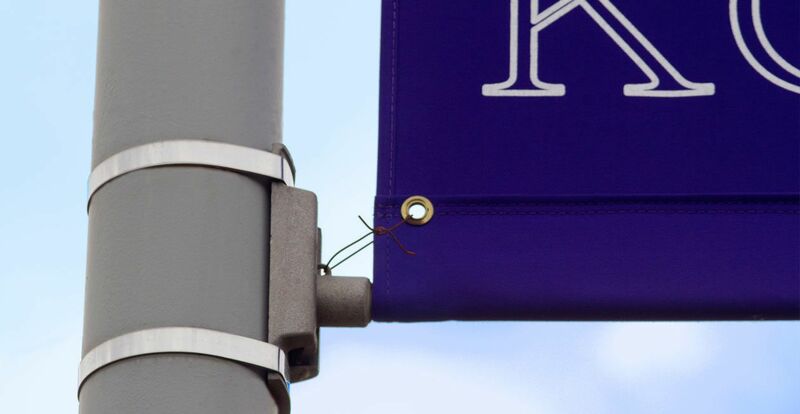 Our street banners and their equipment are tested and dependable, but it’s important that you know the correct materials to use and how to install them correctly, especially in high-wind areas. The right type of banding is important to use, so make sure to follow your equipment’s instructions carefully this fall and winter, else your banner bracket hardware could come crashing down. Founded in 1983, BannerFlex has been displaying vertical format banners and their hardware for clients of all varieties. As the originator of the very first fiberglass and aluminum combination brackets, you know that our designs are tested and perfected to give you the best experience possible.